Amb uns semblants a aquests recordo haver fet la primera mecanització del Institut Municipal d'Higiene de Barcelona (el pla de vacunacions infantils i els historials mèdics de les revisions escolars), el Hospital del Mar (historials clínics i administració) i la Cooperativa Ferreteros Asociados Catalanes (FAC). 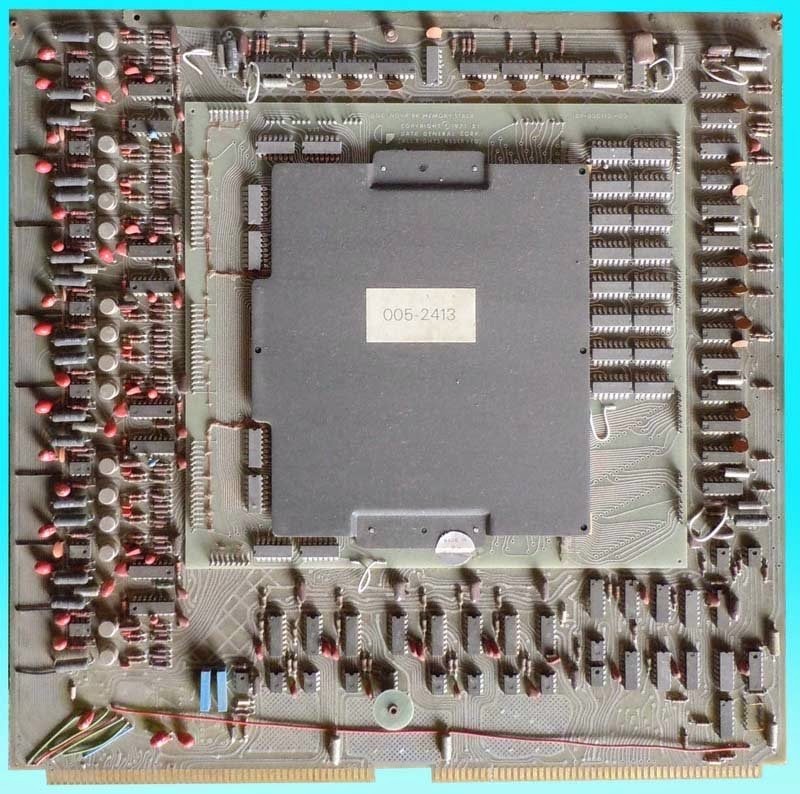 Edson de Castro was responsible for product management at DEC and was intent on developing a 16-bit computer with a processor that would fit on a single printed circuit board. But Ken Olson, the founder of DEC, wasn't supportive. So de Castro left DEC in 1968 together with three other hardware engineers to found his own company in a vacant barber's shop: Data General Corporation (Massachusetts, USA). 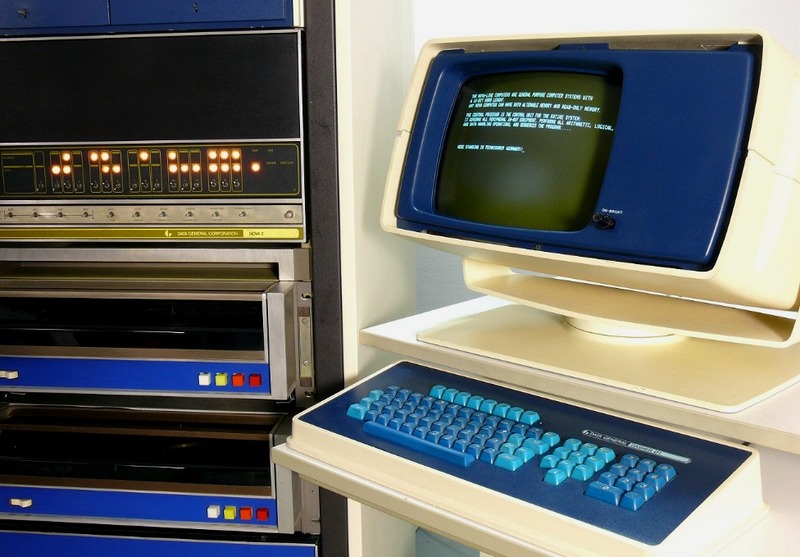 Already in 1969 the first 16-bit computer in the "NOVA"series was ready for the market. Thanks to the simpler production method (no wire wrapping, only two boards + memory boards etc.) the basic version was quite inexpensive at $4000. However, this basic model alone wasn't really that useful, and after extending the computer the total price was substantially higher. The Nova computer was advertised as "the best small computer in the world". At this time, DEC was still building the PDP-8/I and the PDP-12, which required lots of very small flip-chip-modules. 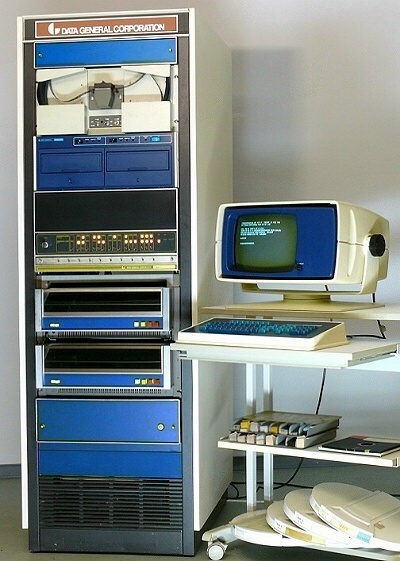 The successor model (available in 1973), the NOVA 2, was simplified even further, and the increased chip density made it possible to have the whole processor together with the control logic for slow peripheral devices (teletype, paper tape puncher and reader) one single board. Our Nova is a NOVA 2/10 model with slots for 10 boards, and therefore enough space for quite a few device controllers and memory extensions. From today's perspective, the rather huge boards (15x15 inch, nicknamed "circuit graveyards in baking tray size") do have disadvantages: any kind of repair is very difficult, because it is not possible to pin down a malfunction by exchanging small boards. The NOVA shown in the picture is from a university. It is equipped with two harddisk drives, one twin floppy drive (8" disks! ), one teletype, one high-speed paper tape punch reader and one punch card reader (not in the picture). Later on a terminal was added, which extended the computer to a comfortably usable system. Two hard-disk drives with removable cartridges, Series 30. Capacity 1.200.000 16-bit words, or 2.4 MB. Mòdul de memòria principal, 8 Kb.